FLORAL tributes placed on the New Norfolk Cenotaph disappeared within an hour of yesterday's Remembrance Day service. 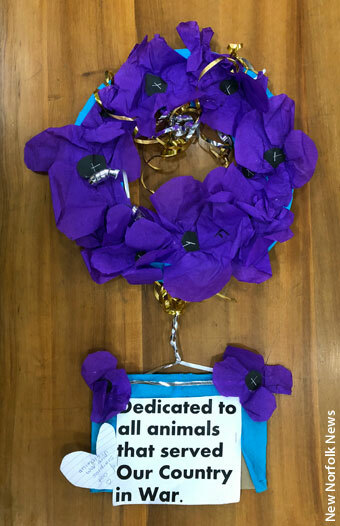 Wreaths were laid by representatives of the Derwent Valley Council and the New Norfolk RSL Sub-Branch at the 11am service, and a hand-made tribute had been placed by a school group earlier in the week. All were missing from the Cenotaph by noon and were still missing last night. A council spokesman said nothing was known about the removal of the wreaths.